Suppose you want to do (or have someone do for you) a mass mailing to your top accounts. How would you go about it? Let flowerSoft run through your accounts and calculate the purchases for the period selected. When flowerSoft finishes calculating the purchases, it will ask you how many you want to print. Select the number of records you want to export and print to the screen (unless you want a hard copy). You must print either to paper or the screen as this is what actually ranks the customers. flowerSoft will then ask you if you want to export the accounts. Answer “Y”. Tell flowerSoft where you want the exported csv file to be placed and what name to give it. 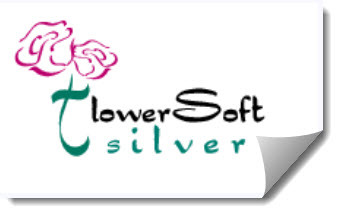 flowerSoft will give you a chance to change your mind or correct a mistake. The label size is the standard 1″ x 2 5/8″ , 3-across. flowerSoft will first print to the screen (unless told otherwise) the accounts in rank # order. and export the csv file with the name you gave it to the location you specified. Import/Export Menu option of the Manager’s Client Operations menu. The select option C – Export Clients to a CSV File. flowerSoft will tell you how many records were exported. Answer “Y” if you want to see it or send it to someone directly from Excel. Note that the file is exported in customer name order, not customer rank order. Probably takes longer to explain this it than to actually do it.